I don’t much care for Valentine’s Day. In a lifetime, we probably only have one or two Valentine’s Days that stay with us, that capture our memory, that hold the actual magic we see in the sentiments on a card. My first came when I was 12 years old and in 7th grade. An 8th grade boy found out I thought he was cute (remember those days…good grief my son is heading straight into that territory in the next couple of years!) and he gave me this Valentine. Yes, it’s been 40 years and I still have it. It was a real card, bought at a store, just for me. My favorite part is the note on inside. 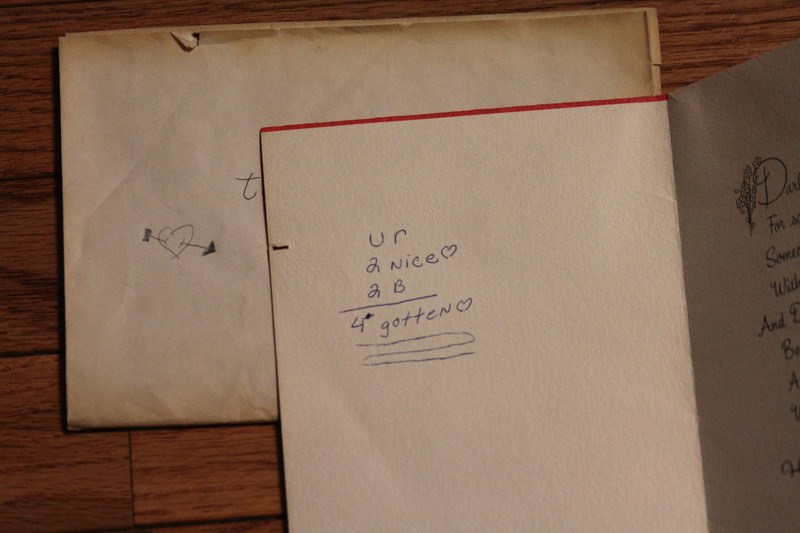 ur 2nice 2b 4 gotten. It was a tweet in the days before twitter. A text message that can’t be erased. Even in this era of Facebook, I don’t know where he is, if he’s still alive or if he’s a millionaire or homeless. And I am quite sure I am 4 gotten. Fast forward about 25 years. My husband bought an engagement ring intending to give it to me on Valentine’s Day. But when he got the ring, he couldn’t wait another day and asked me to marry him on Jan. 31. 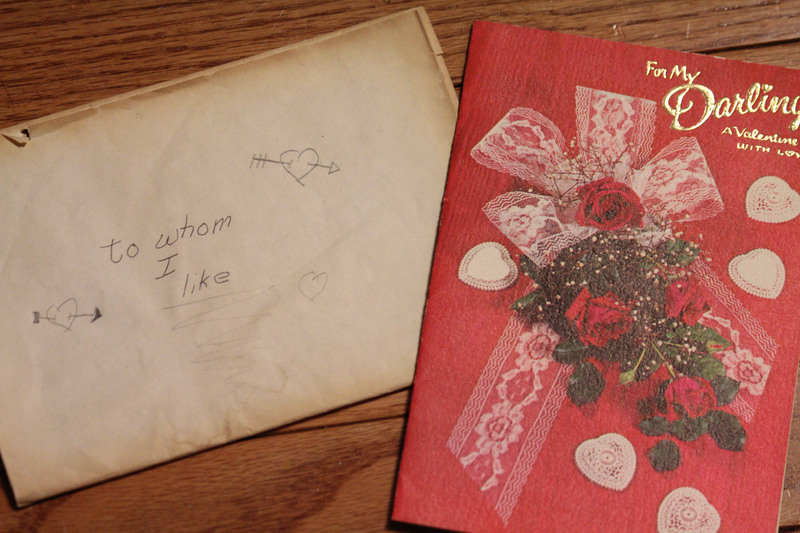 That Valentine’s Day was the sweetest I can remember. Engaged, in love, happy. 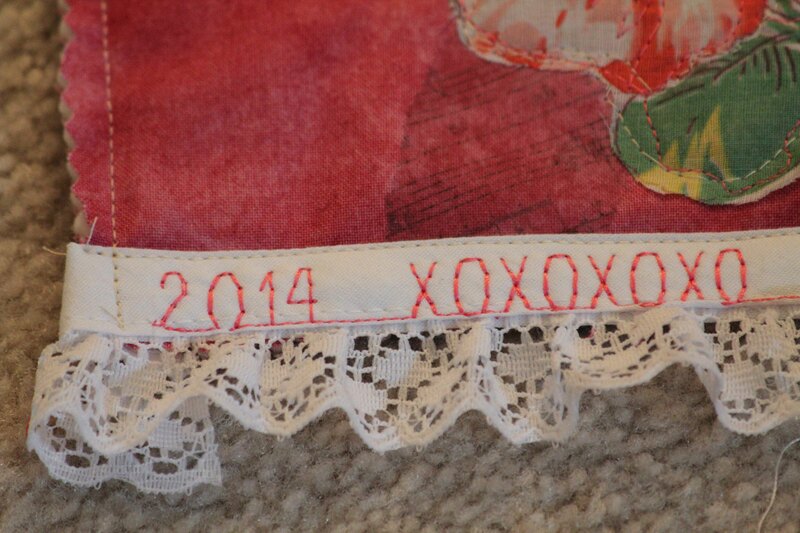 This Valentine’s Day, I took to the sewing machine. I created a little card for my husband using scraps and pieces of lace I had in the back drawers of my sewing room. 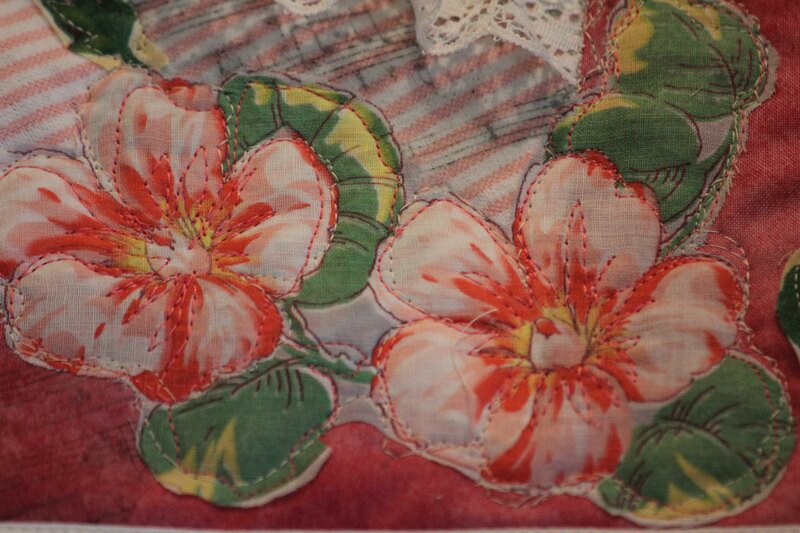 The flowers were cut from some old flea market hankies that were stuffed in a drawer for 15 years…no heirlooms to me, just hidden away so I pulled some out and found the perfect Valentine flowers. 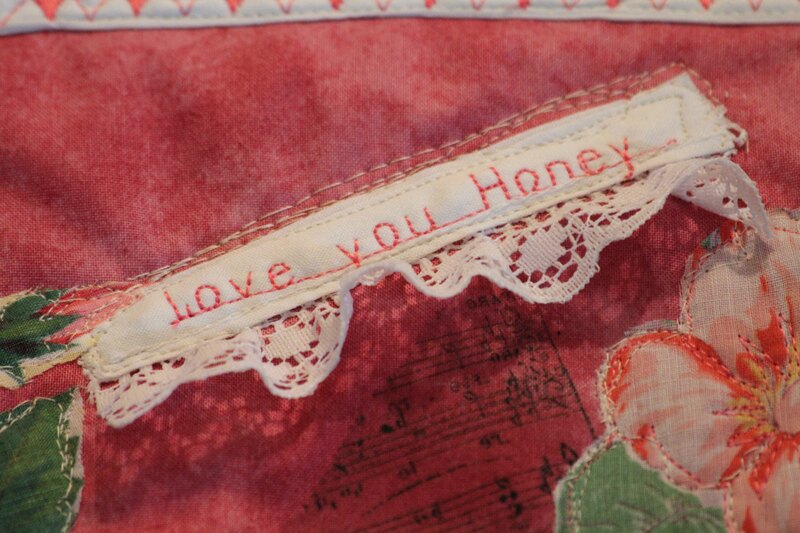 I used the machine to add embellishments, sentiment and personalization. I also played with a little transfer artist paper to add musical notes that my husband would understand. And of course I added the date. Because, you know, 40 years from now, this time in my life will be 2 nice 2b 4 gotten. “Why not?” I said, not sounding at all crushed. He just laughed and shook his 11-year-old-almost-a-teenager head. Like I said. I don’t much care for Valentine’s Day. 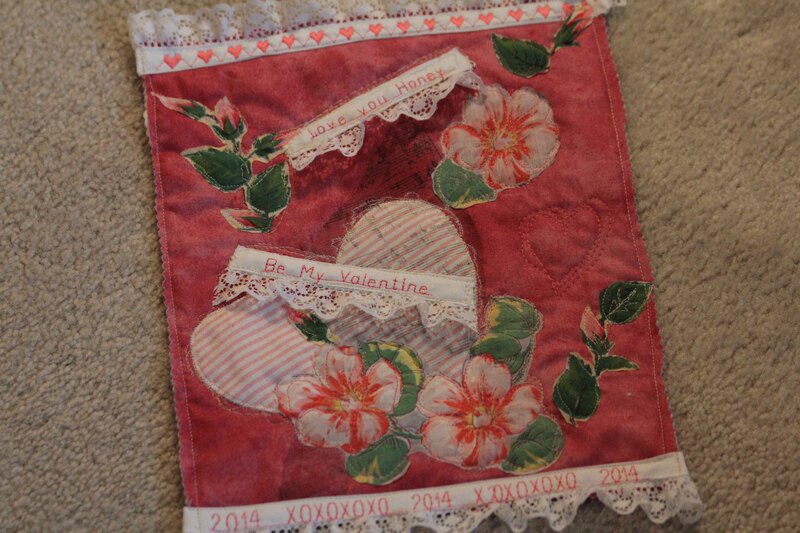 This entry was posted in art, Creativity, quilting, sewing and tagged Valentine's Day by edges. Bookmark the permalink. That valentine is a collectible of the future. A real winner carol.